Fair Dealing Week, February 25 - March 1, 2019, is a celebration of the users' right of fair dealing in copyright law. University faculty, students and researchers exercise fair dealing with copyrighted works every day when we copy a book chapter to read or share a pdf article with a research colleague or an entire class as course material or when we submit an interlibrary loan request for a copy of an article or chapter that is not in the University Library's collections. In 2018 year the U of L Library produced the following short video featuring three U of L faculty talking about how fair dealing benefits students and instructors in the classroom. Video produced by R. Horlacher, E. Black & T. Wiebe. How does fair dealing work? The Canadian Copyright Act grants to creators of original works the rights to produce or reproduce, perform in public and publish each work or a substantial part. These three rights granted to creators include ten more specific rights enumerated in the Act. The Act also permits certain uses of protected works, called exceptions to copyright infringement, which do not require copyright owner permission or payment of fees. The Supreme Court of Canada stated the Copyright Act is a balance between the public interest in encouraging and disseminating works of the intellect and the private interest in obtaining just rewards for creators (Théberge, 2002). The Court noted that exceptions to copyright infringement such as fair dealing play an important role in protecting the ability of the public domain to support the production of new works that build on existing creative innovation for the long-term benefit of society as a whole. 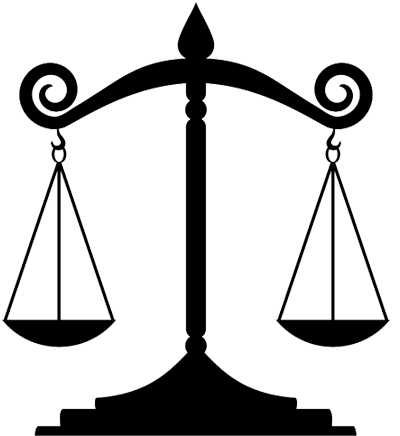 The Supreme Court further underlined the importance of fair dealing in maintaining copyright's balance by suggesting fair dealing and other infringement exceptions are integral parts of the Act that are more appropriately termed users' rights and must not be interpreted restrictively (CCH, 2004). The Court's two-part test to determine whether a particular use of a protected work is likely to be fair dealing is outlined in an FAQ on assessing fair dealing. The annual celebration of Fair Dealing/Fair Use Week is a relatively new development initiated within the academic and research library community. That said, fair dealing and fair use are users' rights available to everyone, not just scholars and researchers. For an overview of how this annual event began, see the Fair Dealing/Fair Use Week Timeline. To mark Fair Dealing Week, a fair dealing Canada website was launched by the Scholarly Communications and Copyright Office, University of Toronto Libraries in 2016 and is now maintained by the Canadian Association of Research Libraries (CARL). If you would like to share your views or experiences on what fair dealing means to in your academic or creative endeavours, please feel free to contact the U of L Copyright Advisor office at copyright@uleth.ca. 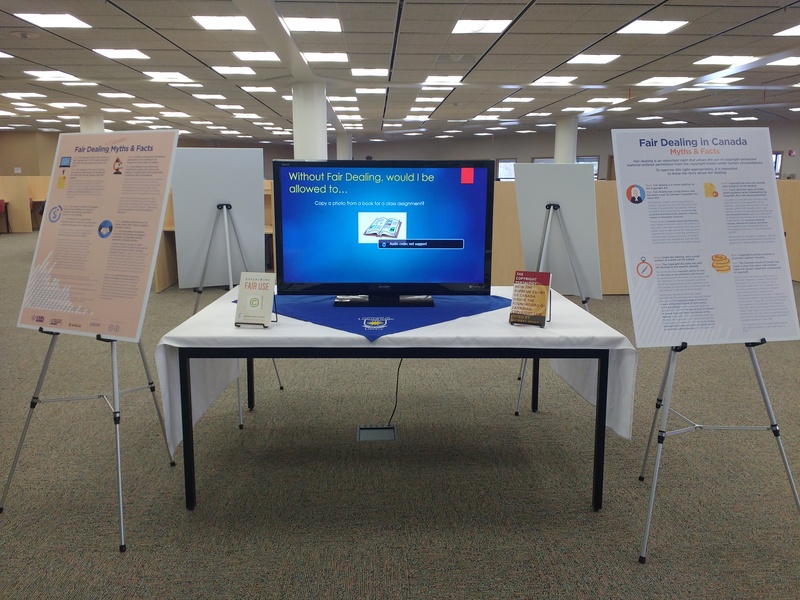 In honour of Fair Dealing Week 2018, the University of Lethbridge Library has once again mounted a Library display on fair dealing. Featured in the display is a Fair Dealing Myths poster adapted by the Canadian Association of Research Libraries. Also included in the display are posters showing the University's Guidelines for Copying under Fair Dealing and Copyright Permissions Flow Chart in which fair dealing is noted as a possible basis on which a copyrighted work might be used without need for copyright owner permission. U of L Library Display, February 26 - March 2, 2018. Created by T. Wiebe and E. Black. "Fair dealing" and "fair use" are related concepts pertaining to users' rights under copyright law. It is nevertheless important to understand that fair dealing and fair use are not synonymous terms since their meaning and scope are defined by different legal systems. It is challenging to adequately summarize the shared and divergent underpinnings of fair dealing and fair use succinctly, given their highly complex and contested nature. The following brief comparison aims merely to sketch a broad picture of some of the basic similarities and differences between fair dealing and fair use. Fair dealing is an exception to copyright infringement laid out in the copyright statutes of common law jurisdictions such as Great Britain, Canada, Australia and New Zealand. The copyright acts of these jurisdictions provide that fair dealing with a copyrighted work is not infringing if the dealing is for a fair dealing purpose specifically stated in the act. This means, for example, that if a work is copied for a purpose other than one or more of the statutory fair dealing purposes, the copying cannot be a fair dealing regardless of the copier's possibly beneficial or meritorious goal. Fair use is a limitation on exclusive rights in works of authorship granted under U.S. copyright law. Like the Canadian Copyright Act's fair dealing provision, Title 17 of the United States Codestates that fair use of a copyrighted work is not an infringement of copyright. But unlike the Canadian statute, Title 17 provides an open-ended list of purposes that may be fair use - "purposes such as criticism, comment, news reporting, teaching (including multiple copies for classroom use)..." - instead of listing a finite list of purposes defining the bounds of acts that may be fair dealing. Another point of divergence is the availability of statutory guidance on how the fairness of a dealing or use should be evaluated. Since fair dealing provisions generally lack statutory definitions or regulations specifying how fairness is to be determined, the appropriate approach to assessing the fairness of actual dealings with protected works is a matter for the courts to decide. In CCH, the Supreme Court of Canada set out a two-step analytical framework to assess fair dealing in which the second step identifies six fairness factors. The Court said the extent to which the factors are relevant may vary from case to case and noted some cases may require consideration of factors beyond the six identified in the framework. In contrast, the fair use provision in U.S. copyright law prescribes four factors that must be included in a fairness determination: the 1) purpose and character of the use, 2) nature of the copyrighted work, 3) amount and substantiality of the portion of the work used and 4) effect of the use on the potential market or value of the work. These fair use factors are similar to the six CCH fair dealing factors (purpose, character, amount, and effect of the dealing, nature of the work, and alternatives to the dealing) but U.S. and Canadian case law have applied the fairness factors in different ways. D'Agostino, G. (2008). Healing fair dealing? A comparative copyright analysis of Canada's fair dealing to U.K. fair dealing and U.S. fair use. McGill Law Journal, 53, 309-363. Geist, M. (2013). Fairness found: How Canada quietly shifted from fair dealing to fair use. In M. Geist (Ed. ), The copyright pentalogy: How the Supreme Court of Canada shook the foundations of Canadian copyright law (pp. 157-186). Ottawa: University of Ottawa Press.